People should consider the workers and the food. They should do this because the food can be unhealthy and the slaughter houses don't care about the animals. They also don't care about their workers. They don't care about the animals and people because they brutally kill the animals and the workers are prone to infection. They kill 34,000 pigs a day and some of the workers are immigrants. The workers are put through nasty environments and a lot of animals are killed a day, so people should consider the workers and animals. My name is Alice Paul and I am from the National American Women Suffrage Association, or NAWSA for short. I have been trying for a long time to get congress to pass a law saying women are equal to men and women can vote. We went in a parade so people could notice us, but people threw stuff like food at us, and then when the African American Women joined the parade, an all out fight broke loose. Men were punching men, men were punching women, and vice versa. Then the police got involved and even more of a fight broke out. That day more than 100 people were sent to the hospital. We also tried protesting. We burned pieces of paper that had words President Wilson had said. We also made posters and one of them called Wilson, Kaiser Wilson. We stood in front of the White House every day with the posters and a lot of people noticed. When we burned the paper, people got mad. One day people started fighting us. Even after the fight, we still protested in front of the White House. Then one day the police came and took us away. We went to prison, but we told them we did nothing unconstitutional. They didn't listen. We were put in prison and were forced to work. After a while we were tired of working and we went on a hunger strike. We didn't eat anything. Then I was taken to a psychiatric ward and was force fed raw eggs. My left nostril and throat muscles were sore. Then one day we were released and the president had a speech about women's rights. There was a law that needed enough votes to pass and make women equal. The law passed. I was so happy that it passed. If you look at women today and see they are equal, it was because of the NAWSA. 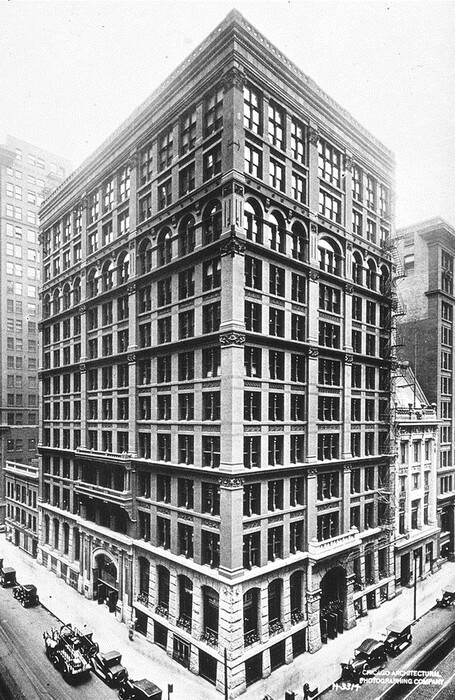 During the Gilded Age, all companies wanted was money. They were filled with greed and some parents would send their children to work because they were so poor. The kids were put through harsh working conditions and got sick a lot. The workers payed them very little and didn't care about them because all they cared about was their business. U.S. Navy Terrorizing Foreign Lands! On one normal morning in Hawaii, Queen Liliuokalani was minding her own business when all of the sudden out of no where came four boatloads of U.S. Marines. 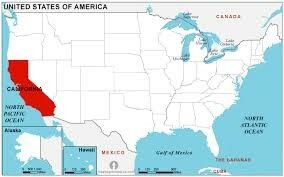 Their goal was to annex Hawaii and make it a state of the United States. They went around the palace aiming their weapons at the building, forcing her to surrender. 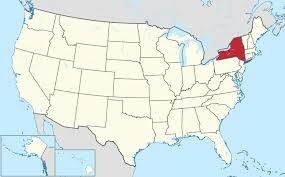 After that horrible scene, when McKinley took office, we got Hawaii as a state on August 21, 1959. Liberty Bonds were loans where you could buy one and it helps the U.S. by giving the money. 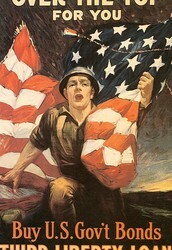 When in the war, the U.S. was in debt and needed money for supplies and weapons such as guns and tanks. You buy a Liberty Bond, you help the U.S. win the war. You give them money by buying one, and they will win the war. 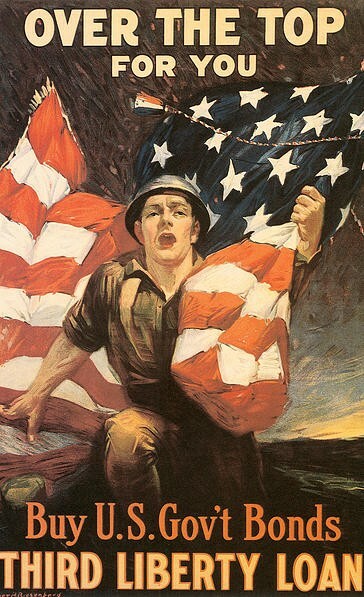 After the war, you can cash in your Liberty Bonds to get your money back. 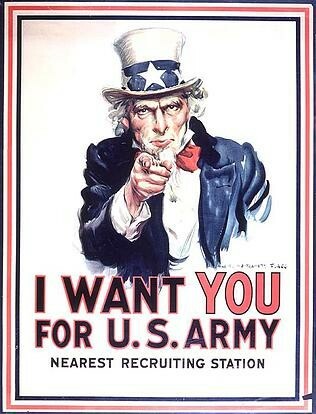 During World War 1, recruits and soldiers were needed for the war to fight against enemy powers. Without soldiers, we can't fight the enemy team. The war needs soldiers. 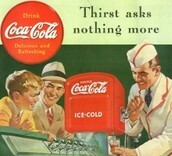 During the Roaring 20s, Coca Cola was a refreshing 5 cent drink that people loved and enjoyed. It was sold at stores and it was in vending machines. At the time, Coca Cola had cocaine in it, and wasn't cocaine free until 1929. 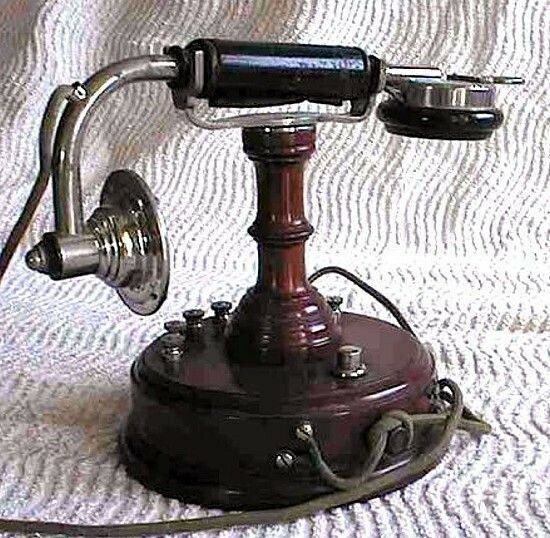 The Gilded Age sparked a lot of new inventions like the telephone. People could now talk to each other from far distances. It was a huge deal because you could talk to someone without having to be face to face. 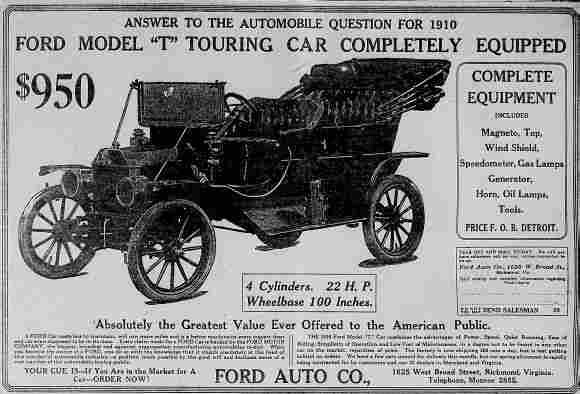 On October 1, 1908, the first Ford Model T was created. Instead of taking trolleys or riding horses, people could now drive a car. The prices ranged from $850 to $2,250. 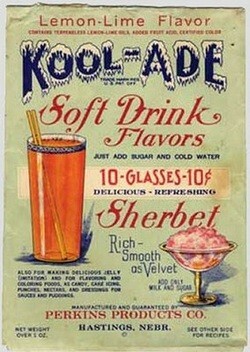 During the Roaring 20s, Kool Aid was invented. 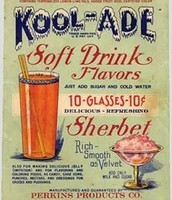 It was meant for kids and was an alternative to soda. 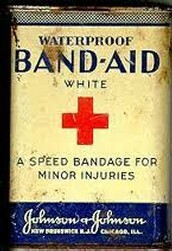 Band-Aids were first invented in 1920. 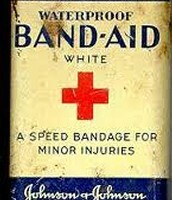 They were sold in stores and were made by hand and were not a big hit. The first year, they only sold $3,000 worth of them. 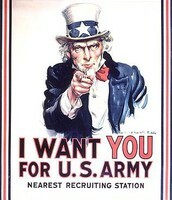 It is 1917, and the United States has now joined the Great War, and President Wilson wants people to help pay for it. Wilson has created Liberty Bonds, a form of loan to the government to help pay for weapons and supplies. Propaganda is now in use so people can buy Liberty Bonds. Wilson has also created the War Industries Board to regulate all materials needed in the war effort. He has created the National War Labor Board to stop strikes, too. The board has handled 1,200 cases involving 700,000 workers. Also, the Germans sabotaged the U.S with a bomb. Herbert Hoover has created days like " meatless Mondays and "wheatless Wednesdays" and Harry Garfield has created "gasless Sundays" and heatless Mondays, all so people can save money and resources on those items. Hoover has also asked people to plant victory gardens, a place where people can grow plants and food, to help make more food. Hoover also said "Food Can Win the War" to persuade Americans to want to plant victory gardens. Also, 1 million women are working to help the war. Charles Schenck opposed the war, and is now put in trial in the case of Schenck v United States. The Constitution says he didn't break the 1st Amendment, but then the Sedition Act was created saying that people can't express the opposition of war, which is against the 1st Amendment. Movies in the 1920s were very popular. Most movies were made in Hollywood, but some were made in New Jersey and some were made in Astoria on Long Island. There was an average of 800 films releases a year, making the 1920s the most popular decade for movie making. Throughout most of the decade, silent films were most predominant. Some silent film movie stars were Charlie Chaplin, Douglas Fairbanks, Rudolph Valentino, Harold Lloyd, and Clara Bow. All of these silent film stars would talk on screen, not being able to hear what they were saying. Then, words would pop up saying what they just said. Since the films are silent, there would be someone playing an organ to set the mood. There would also be intermissions so people could walk around and stretch, but mostly so the people in charge of the movie could change the reel, because movies couldn't hold the whole movie on one reel. Some silent film stars would even lose their job when audio came out for movies because some people didn't like how their voice sounded. The top 5 biggest film studios in the 1920s were Warner Bros. Pictures, Paramount, RKO (Radio-Keith-Orpheum), Metro-Goldwyn-Mayer, and 20th Century Fox. Some popular silent films were The Birth of a Nation, The General, It, 7th Heaven, and The Four Horsemen of the Apocalypse. 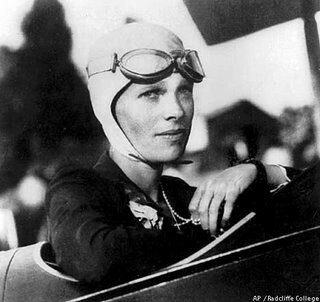 On June 18, 1928 an aviation pioneer by the name of Amelia Earhart flew across the Atlantic. Her goal: to be the first person to fly a plane across the world. The way she refueled her plane was she would land on an island and get fuel. Then she would take off and keep flying. 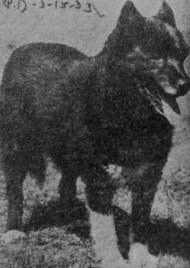 Her plane went missing in the Atlantic Ocean on July 2, 1937 and her body and plane went missing. No one knows what happened to her and people still haven't retrieved her body and it is a mystery to this day. 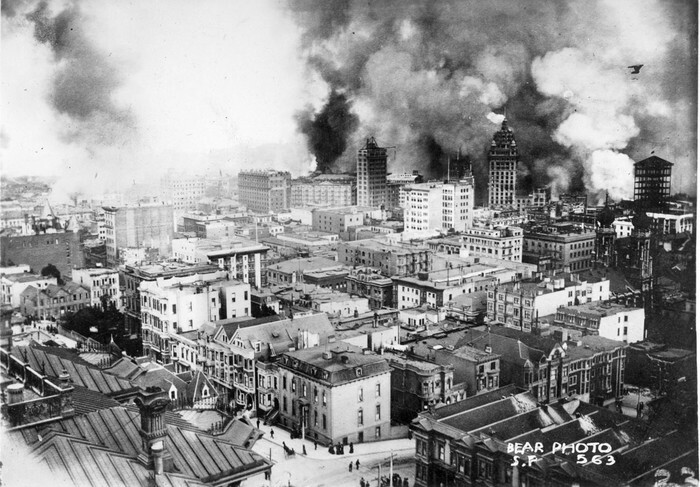 On April 18, 1916 at 5:12 a.m., an earthquake hit San Francisco, California with a magnitude of a 7.8. 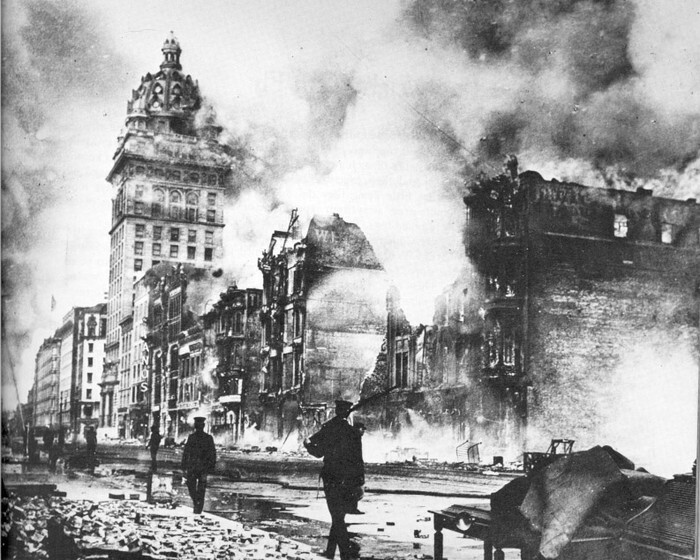 It made massive fires and is considered one of the worst natural disasters of all time. It is uncertain what the death toll is, but city officials estimate it to be 700 people. New more modern calculations suggest that about 3,000 people lost their lives, though. 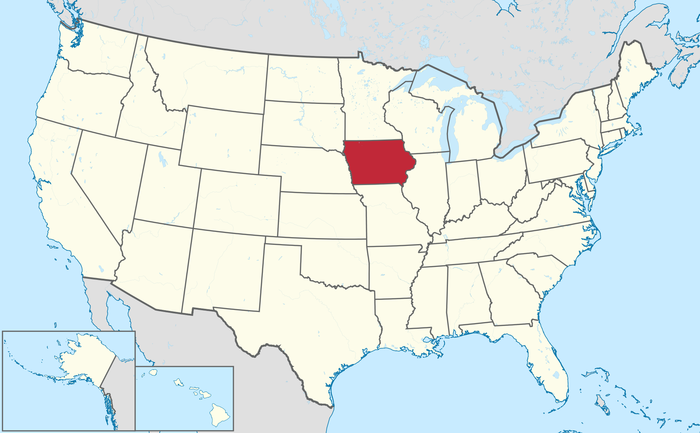 The soil in Iowa is referred to as "the black gold of Iowa" because of it's fertile soil. 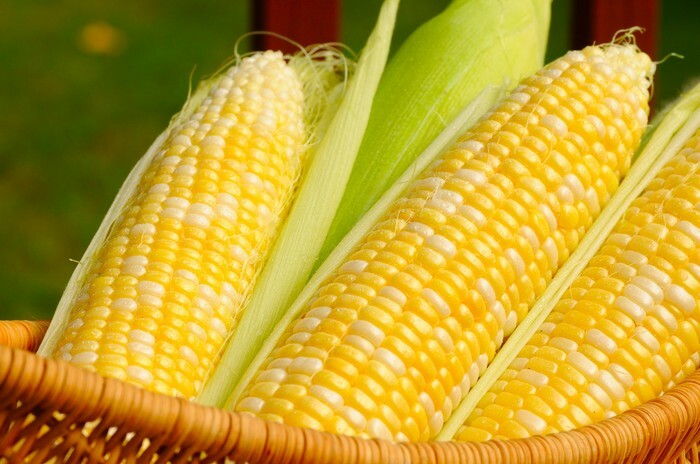 Corn in Iowa is the #1 cash crop. 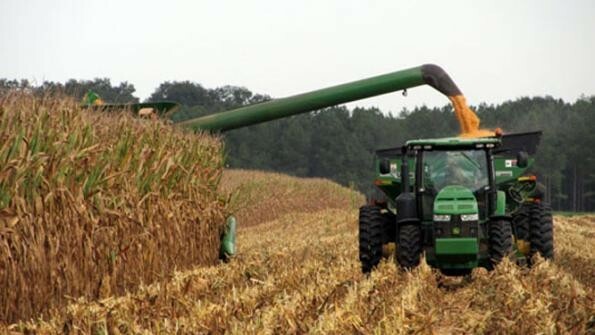 In one year on average, Iowa produces more corn than most countries. 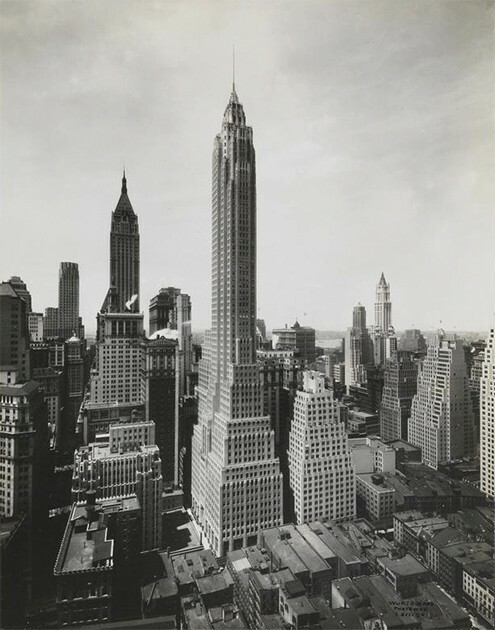 During the 1920s, there was nowhere to build but up, and people came up with the idea of the skyscraper, a really tall building. 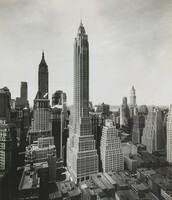 People were racing to see who could build the tallest skyscraper. 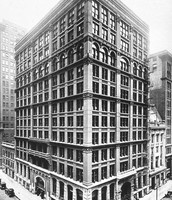 Some tall skyscrapers were the Flatiron Building(22 stories), the American Radiator Building(22 stories), 70 Pine Street(67 stories), 40 Wall Street(70 stories), the Chrysler Building(77 stories), and the Empire State Building(102 stories). 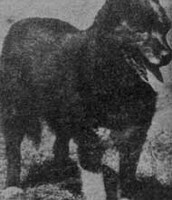 In 1925 a dog named Balto ran in the 1925 Serum Run to Nome. 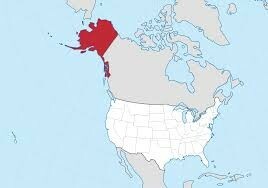 They ran to give a diphtheria antitoxin to people in Nome who got sick with it. Diphtheria is an infection that causes people to get a swollen neck and can make it hard to breath and can give you a barking cough. 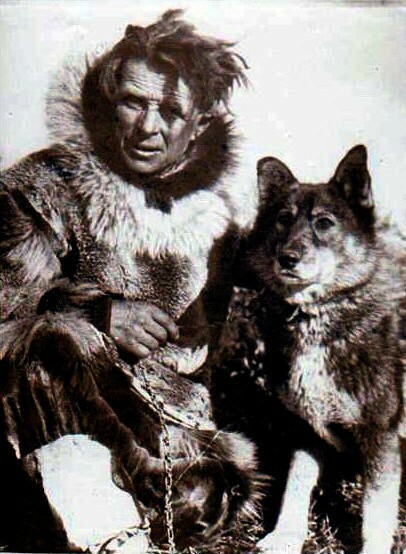 Balto and and his teammates Fox, Old Moctoc, Tillie, Alaska Slim, Sye, and Billy ran to give the antitoxin to the people in need. 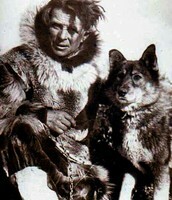 Their leader was Gunnar Kaasen. When they delivered the antitoxin, they were called heroes and were famous.